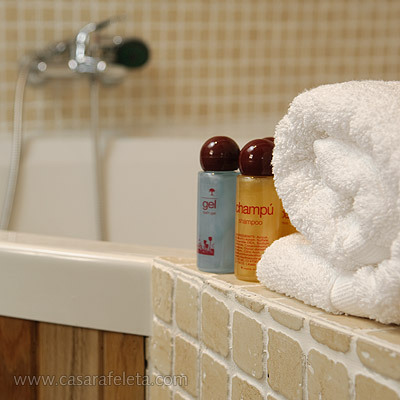 Our hotel offers full sleeping accommodations and breakfast to our guests. Picnics for excursions, complete with typical products from the area are available upon request. The dining room, living room with television and table games, and reading room are available for our guests to enjoy. Soon we will also have a small exterior garden and fountain for your relaxation. In our hotel you can find our Tomatis center. The hotel also has its own 4 wheel drive taxi and guided excursions to the more beautiful sights in the area. The actual village has stores, a bakery, restaurants, and a pharmacy.